I mentioned earlier this week that my weekend was a bit of a carb-fest. 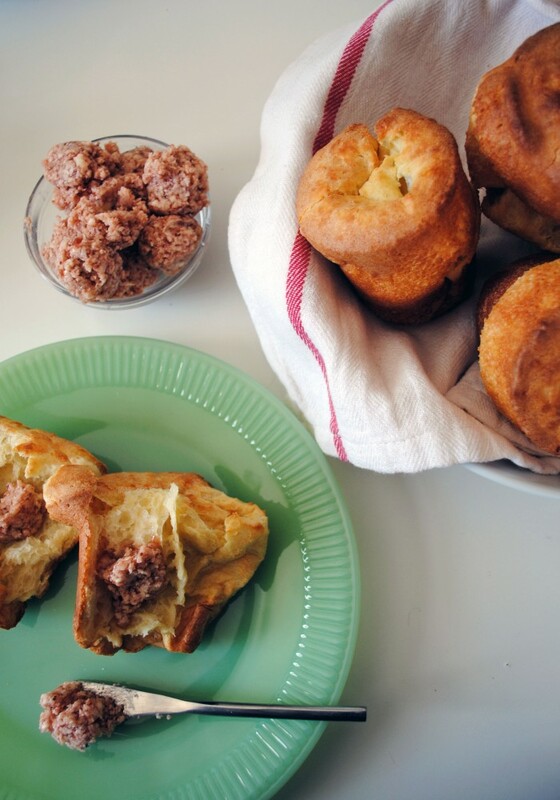 One of the highlights of my breaded-binge was making homemade popovers and strawberry butter. 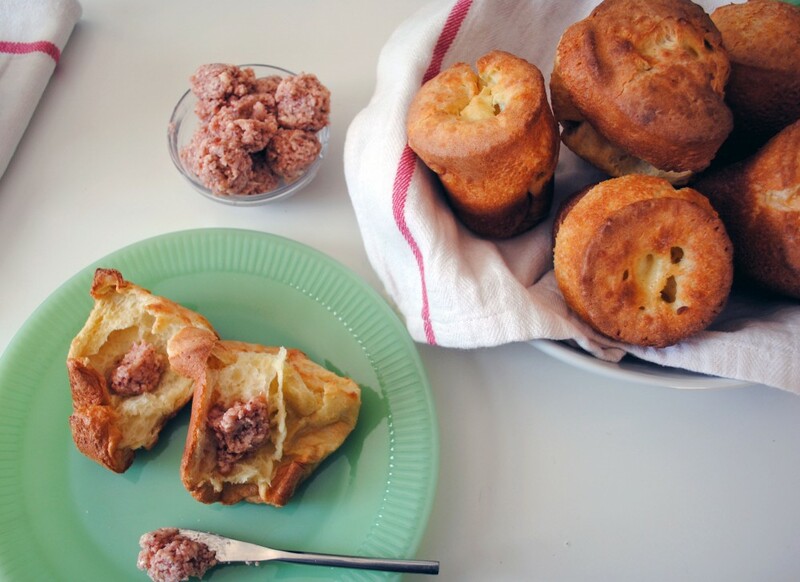 It’s sort of a family tradition to make these delicious egg-y pastries. 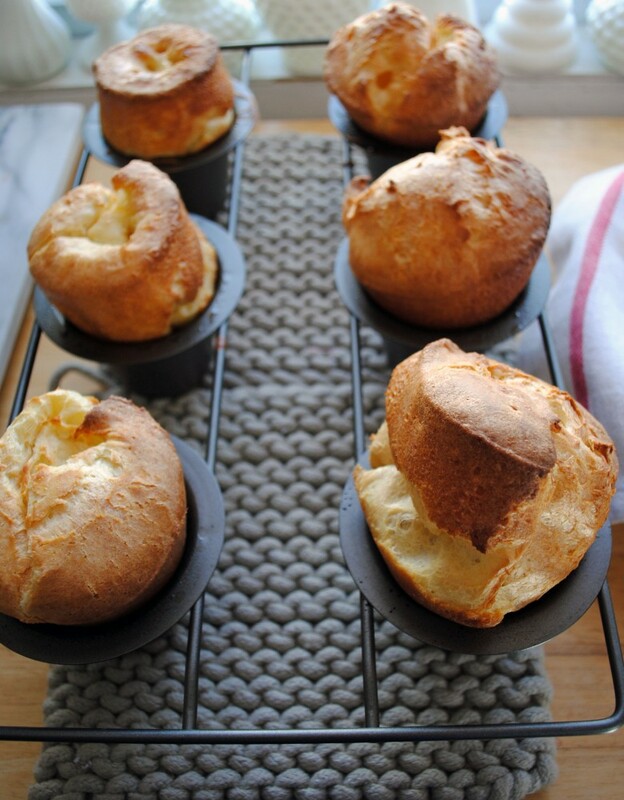 When my sister and I were kids, my mom and aunts would take us to have lunch at Neiman Marcus, and the popovers were always a highlight of the meal. So when they visited this weekend I broke out the Neiman Marcus Cookbook and whipped up a batch. The strawberry butter is the best part, it’s just strawberry jam and butter whipped together, but for some reason it tastes absolutely amazing — I want to put it on everything! Drybar. West Elm Valentine’s Day DIY Event. 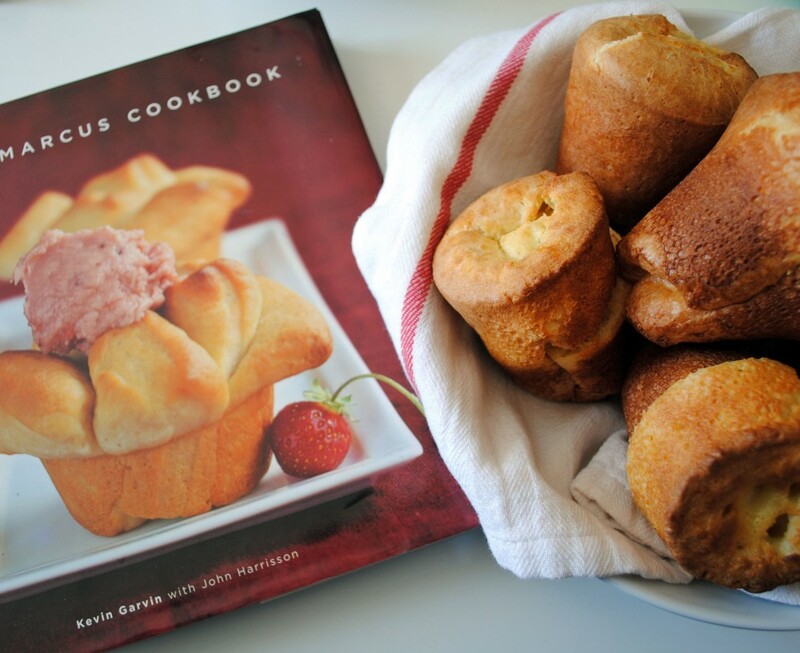 4 Responses to "Popovers and Strawberry Butter." Oh those looks delightful! 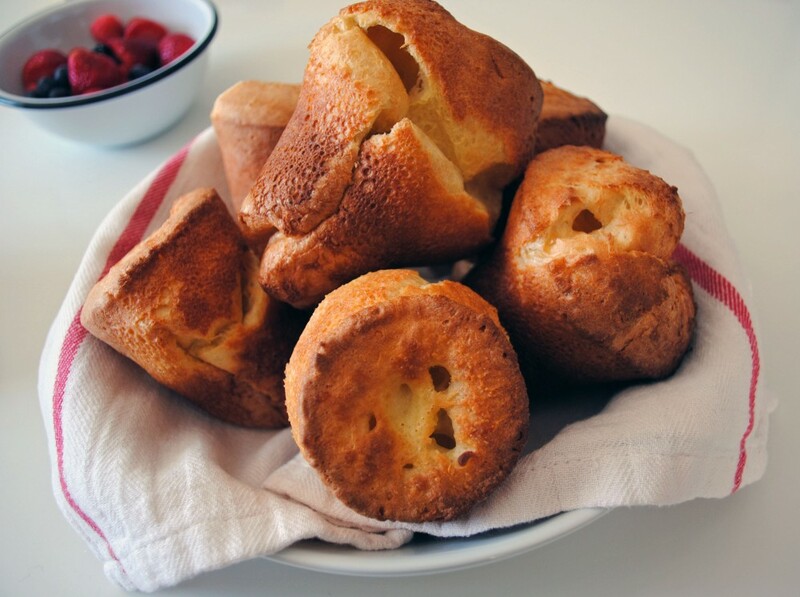 We love popovers, so definitely going to try them with strawberry butter! 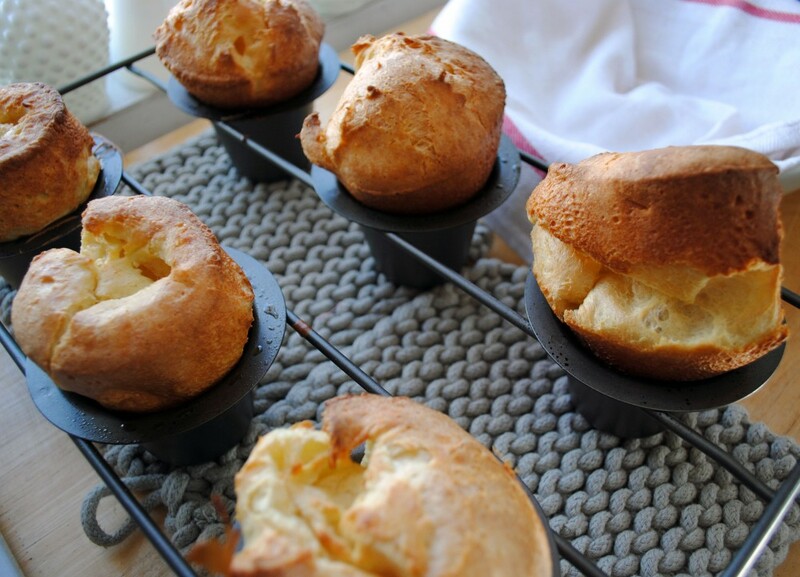 after my delish popover last night, i am dying to try to make them! yours look great. Oh my, these look so good! Yum!